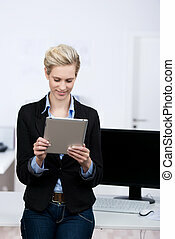 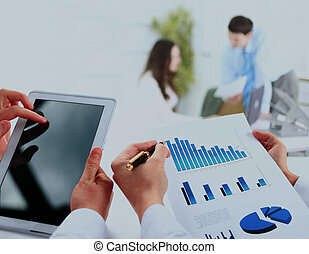 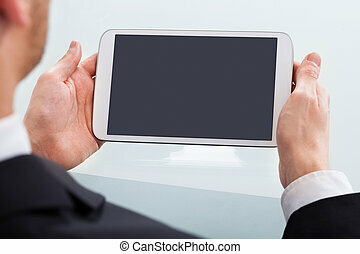 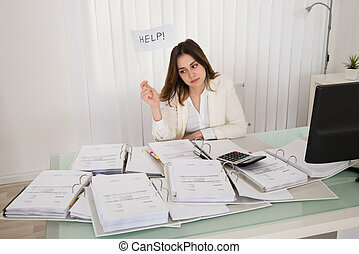 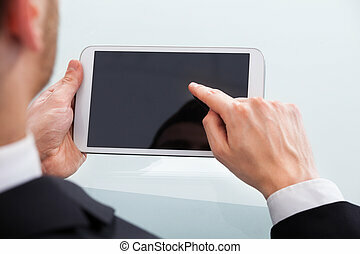 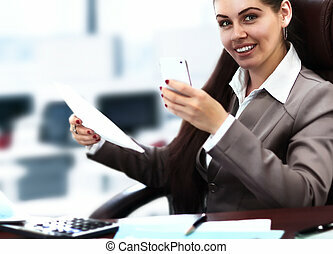 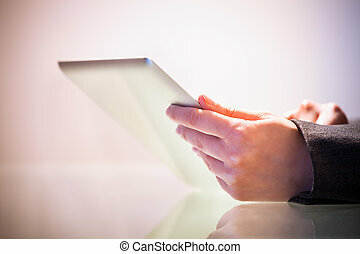 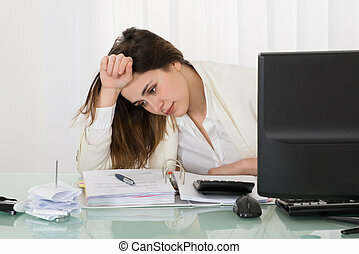 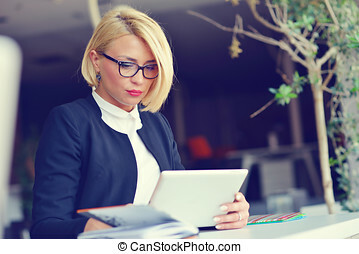 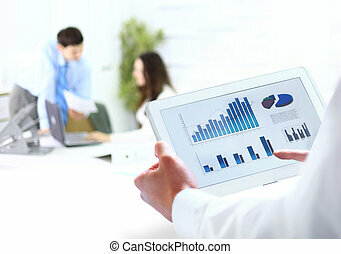 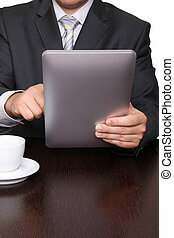 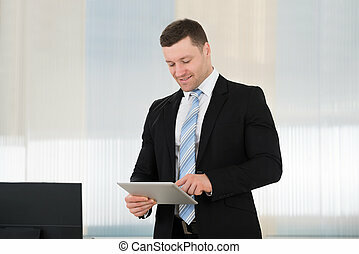 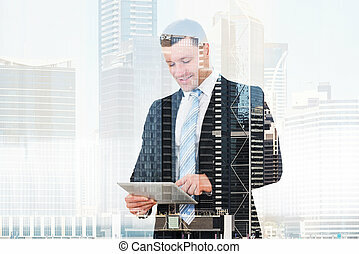 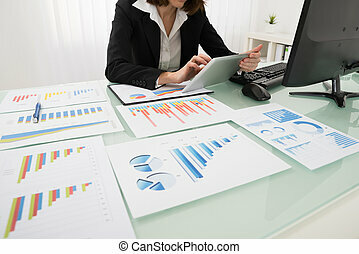 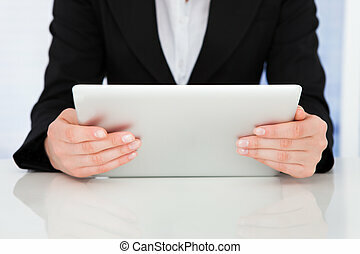 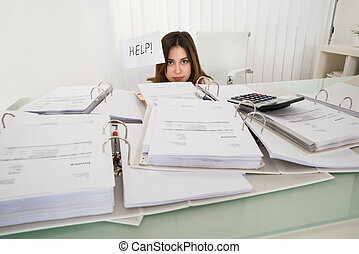 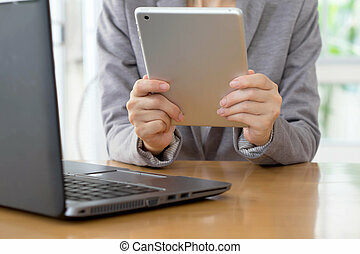 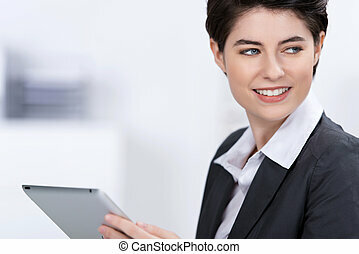 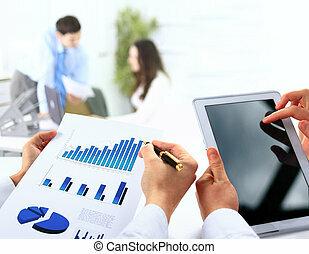 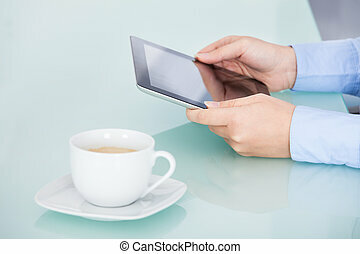 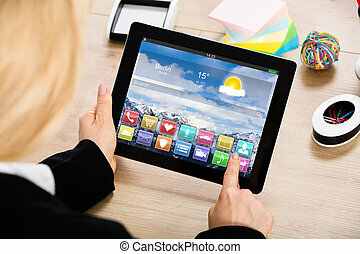 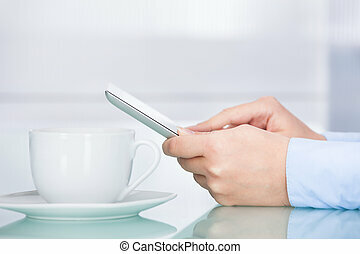 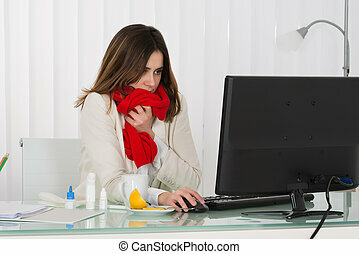 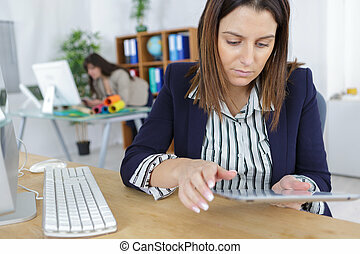 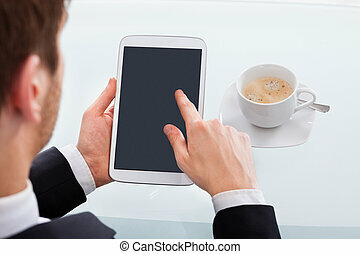 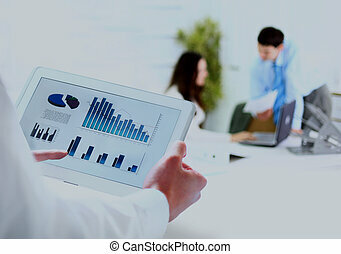 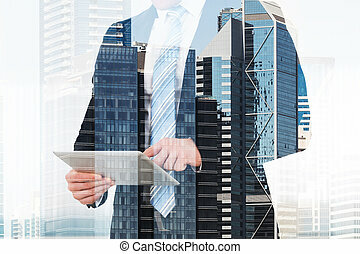 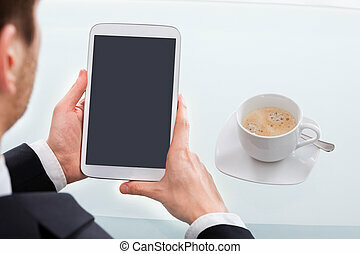 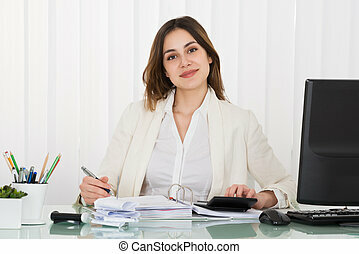 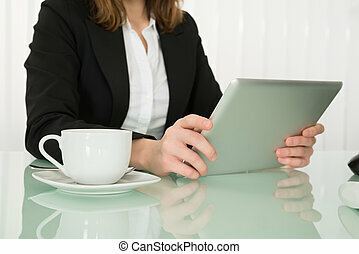 Businesswoman holding digital tablet while working in office. 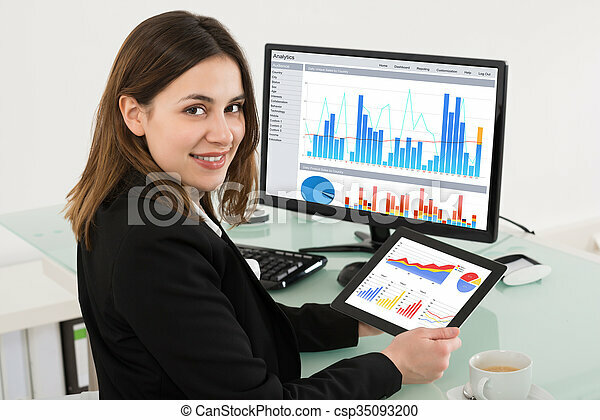 Happy young businesswoman comparing graphs on digital tablet in office. 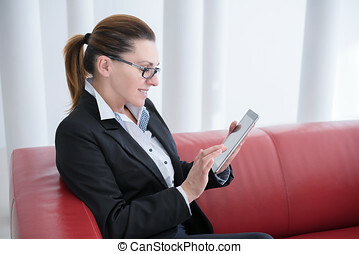 Businesswoman in office working on digital tablet.